Hello fellows and ladypeople! It is I! Mike. In our general exultation about the Sluggo! special edition, and our fascination with all microcosmic aspects of music, we’ve come up with a means of celebrating some of the tiny but juicy fragments to be found on the album. We have our own favorite small moments on the album, and we’d love to see and hear yours. Using the free Vine app, we invite you to shoot a video using your favorite six seconds of Sluggo! as your background music (singing or playing along is great also). 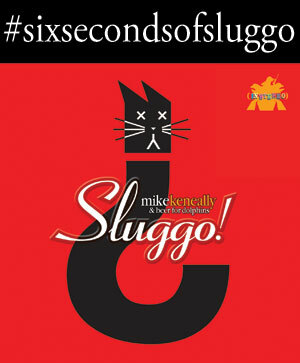 Upload the video to Vine and share it to Twitter or Facebook with the hashtag #sixsecondsofsluggo. I’ll be keeping an eye on all posts with this hashtag, and I’ll be retweeting or reposting the ones I really get a kick out of. The ones I super-dig will be “favorited” on Twitter. 1. I don’t need to say this, but please no appalling, threatening, racist, sexist, hateful or otherwise offputting-to-the-majority-of-humans entries. Thank you. 2. If you don’t use the hashtag #sixsecondsofsluggo, we have no way of finding your video, so please use the hashtag! 3. Please submit as many videos as you like. 4. I may retweet/repost as many videos as I like. 5. No one, human or animal, shall be harmed in the making of your films. Use of magic or science to turn living dogs into cardboard dogs or vice versa is strictly prohibited. We’ve taken the liberty of shooting a few examples…head over to Twitter now, search for the hashtag #sixsecondsofsluggo and have a look! This will be fun, right? Shows: 9:00 p.m. and 10:30 p.m.
My main thing at the moment is working on Scambot 2. Our good pal Blair, who’s been hanging out here at Chatfield Manor over the past several weeks while I’ve been working on all kinds of different stuff for the album, and hearing the songs as they gradually develop from nothingness to somethingness. 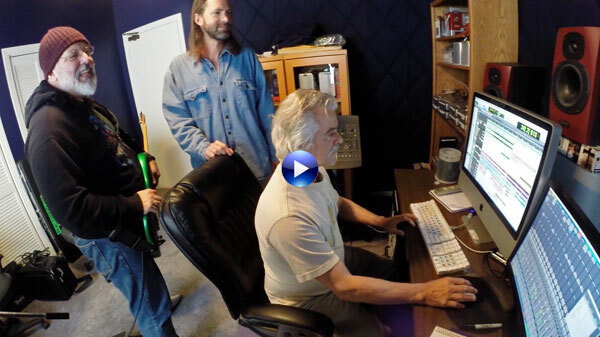 He was inspired to interview me about the music in progress, and Scott shot this video whilst we spoke and listened, so take a look…we’ll be doing more of these “album-in-progress” videos as Scambot 2 continues lurching to life. You might want to check out the March 2014 edition of Guitar Player magazine, which features a six-page article/interview with me, written by the always intelligent, incisive and thoughtful Anil Prasad. I’m very happy about it, it’s a great piece. And do you know about The G4 Experience yet? Listen to “Sluggomatic,” A Brief Tour of Mike Keneally’s Sluggo! Order Sluggo! today at The Mike Keneally Store. You’ll get the stereo download NOW, and your multi-disc Sluggo! package will ship right away. 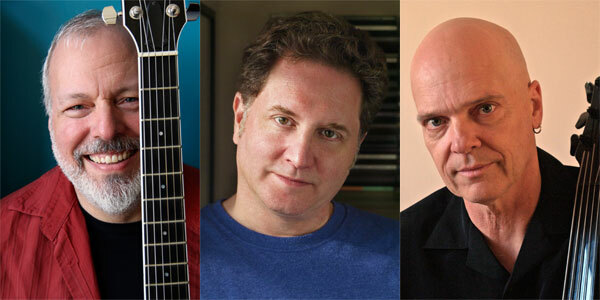 G4 ExperienceGuitar PlayerInterviewKeneally Bendian LunnScambot 2Sluggo!